This is a square card that I made for personal use. I was really happy with the color combination. Supplies: Stamps – Hero Arts, Papertrey Ink, paper – Neenah Classic Crest Solar White, Stardream Metallics Silver, inks – Gina K. Designs Wild Lilac, Lawn Fawn Merman, VersaFine Clair Twilight, VersaFine Onyx Black, dies – Spellbinders, sequins – Darice, embossing powder – Ranger Silver Pearl. 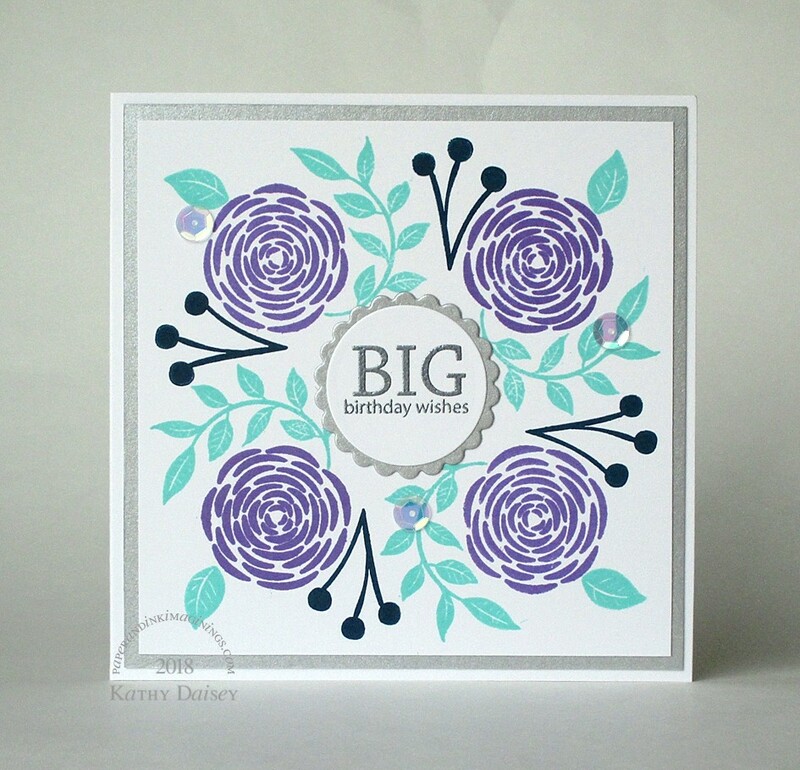 Categories: birthday, card | Tags: card, Darice, Gina K. Designs, Hero Arts, Lawn Fawn, Neenah, Papertrey Ink, Ranger, Spellbinders, Stardream, Tsukineko, VersaFine | Permalink. Thanks, Jenny! I was playing with new ink and I really liked how they worked together.